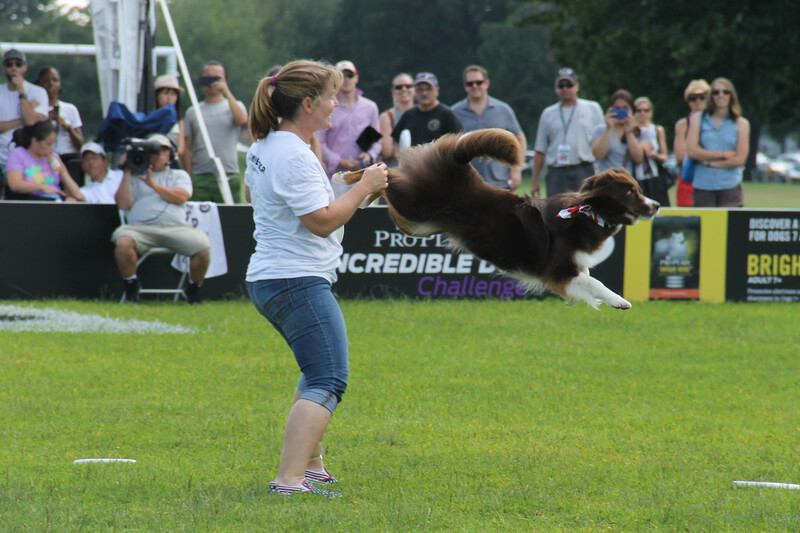 My roommate and I meandered over to the Purina Pro Incredible Dog Challenge last week. 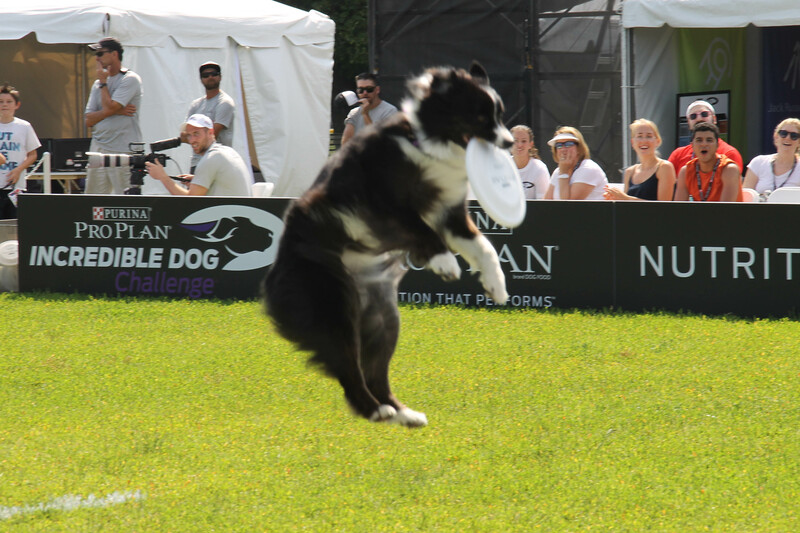 We only made it in time for the last event, Disc Dogs, but it was totally awesome! 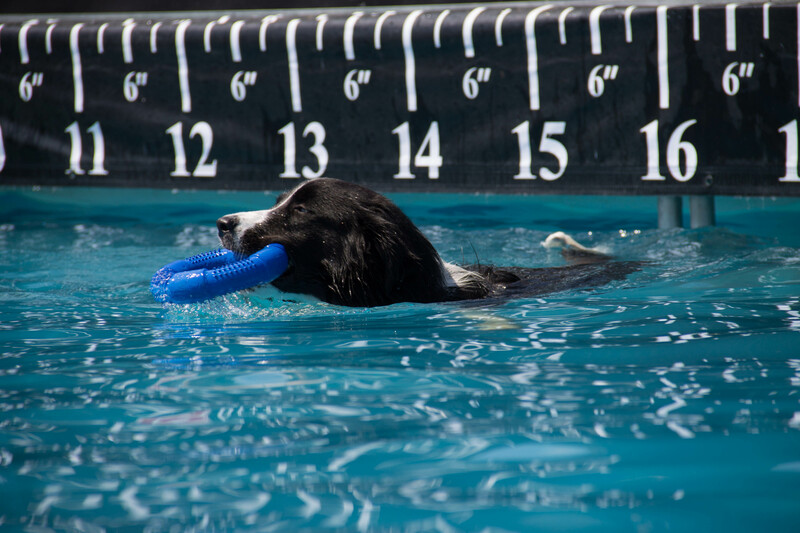 We missed the Dock Dogs competition, but we did get to see a few practice rounds! 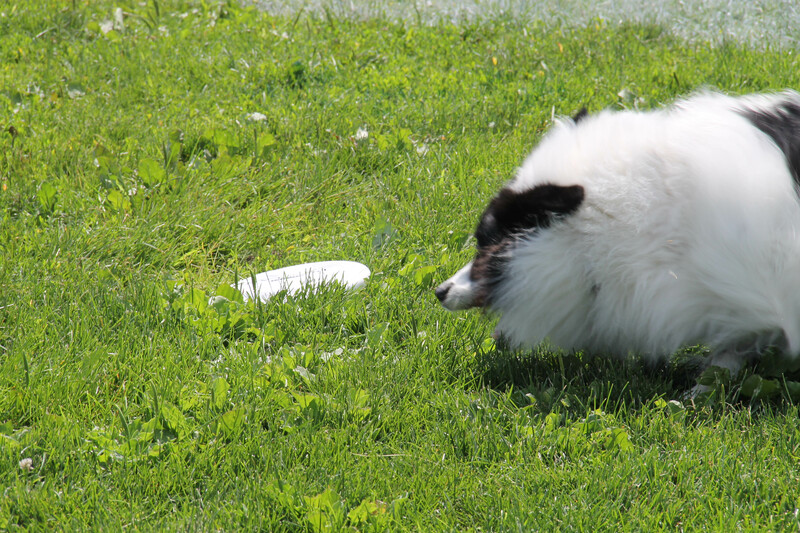 The Disc dogs! 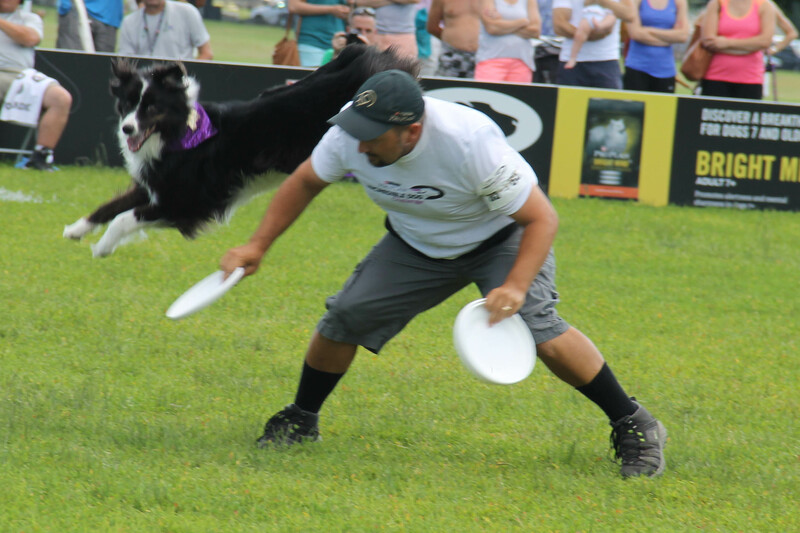 I love the energy of this event – it’s Frisbee throwing but at a whole ‘nother level. This talented pup is a Border Collie/Australian Shepherd mix. This was a 10 year old pup (that’s about 70 in human years!) who still had a bit of spring in his step! 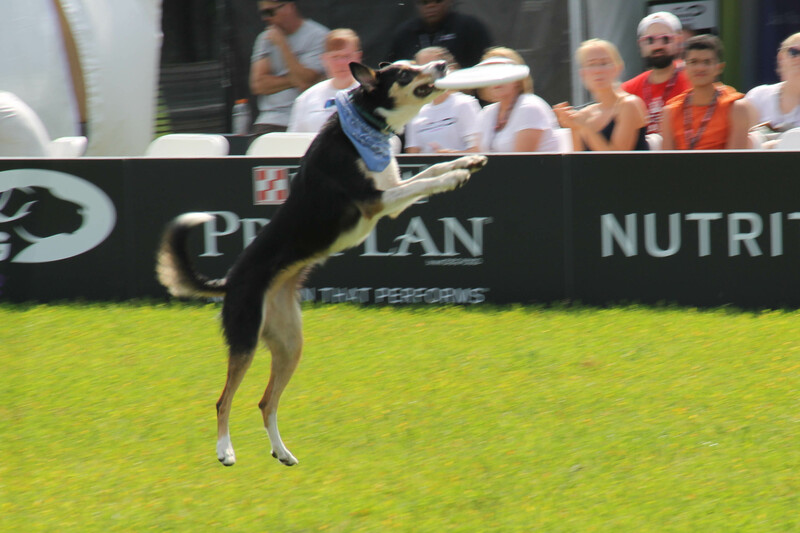 He missed this frisbee, but that’s okay! He caught the next one. Still the same 10 yr old; he’s an Australian Shepherd – my favorite dog breed. 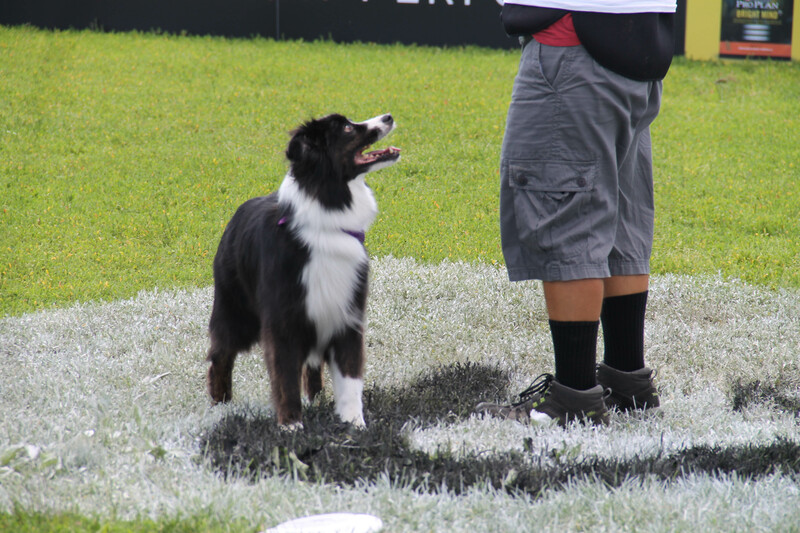 One of really special things about these events is you can see how much the dogs enjoy it – they’re always excited and happy when they enter the field and they just can’t wait to go after that frisbee. 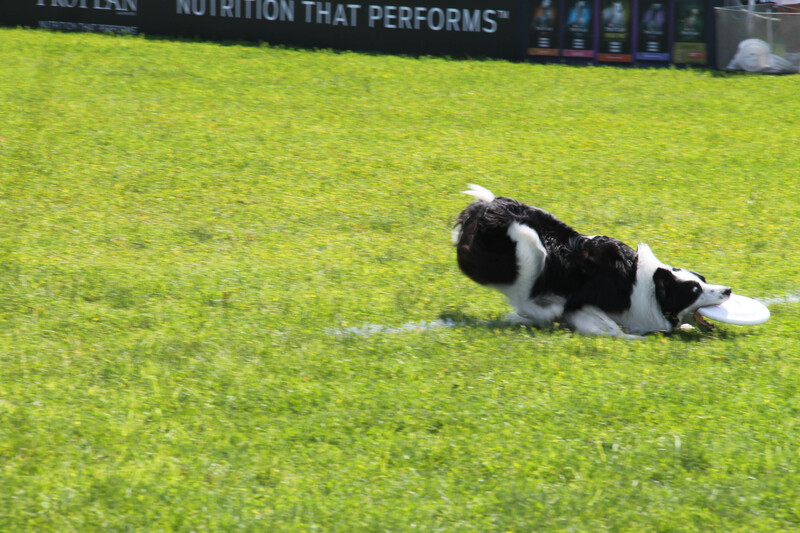 And finally, this is the last competitor (and the only one that wasn’t an Australian Shepherd or Border Collie.) He was an explosive bundle of energy! A competition our dogs could never be entered in… 14 of them and not a single one will ever do a thing of measurable value their entire lives. Sigh….